An Insolvency and Bankruptcy Board of India (IBBI) will be established. This Board (IBBI) will oversee the work of Insolvency and Bankruptcy of corporate persons, firms and individuals. 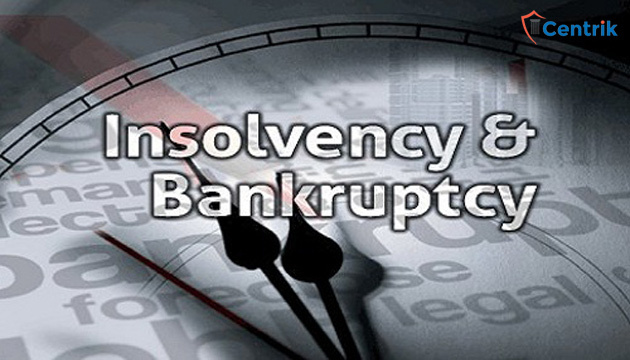 Actual work relating to insolvency and bankruptcy will be handled mostly by ‘insolvency professionals’. They will be members of ‘Insolvency Professional Agency’ which will ensure that the member have sufficient knowledge and expertise in these matters. The basic idea of new law is that when an enterprise (individual, firm or corporation person) defaults, the control shifts to Committee of Creditors. They have specified time limit to evaluate proposals for resuscitating (rehabilitating) the enterprise or take to liquidation. Decisions are required to be taken in a time bound manner so that there are greater chances that the enterprise is saved as a going concern and productive resources of economy can be put to best use. Part II of Insolvency Code, 2016 deals with insolvency resolution and liquidation for corporate persons. The actual work will be mostly handled by ‘resolution professional’ (who will be registered ‘insolvency professional’) under supervision of Adjudicating Authority (NCLT). At first instance, corporate insolvency process will be initiated. In majority of the cases, this will be initiated by secured creditors or corporate person itself. In some cases, the process will be initiated by other creditors. Insolvency professional will form a committee of creditors and with their concurrence, efforts will be made to evolve and finalize plan to revive the corporate person. Plan for rehabilitation of corporate debtor will be prepared by resolution applicant and will be submitted to Insolvency Professional for approval by Committee of Creditors. This process will last for 180 days, extendable by further maximum 90 days. During this period, efforts will be made to evolve a ‘resolution plan’ to rehabilitate the ailing corporate. A fast track corporate Insolvency Resolution will be available to small corporate persons. If the efforts fail, the corporate person will be liquidated in the time bound manner. NCLT will be Adjudicating Authority and NCLAT will be appellate authority for corporate persons. Provisions relating to Corporate Insolvency Resolution Process (section 4 to section 32 of Insolvency Code) have been made effective from 1-12-2016. Provisions relating to Liquidation process of Corporates (section 33 to section 54 of Insolvency Code) have been brought into effect on 15-12-2016. In most of the cases, winding up of companies will be through the Insolvency Resolution Process only. Direct winding up process under Companies Act, 2013 will be used very rarely. The Insolvency Code, has opened gates for speedy disposal of insolvency cases where recovery of bad debts became imperative and NCLT had to take the responsibility of disposing off these cases. So far it is functioning as per the Code and the business sector is wishing that it continues in the same spirit.